Sherry FitzGerald O’Meara bring this well-presented and maintained three-bedroom home to the market. 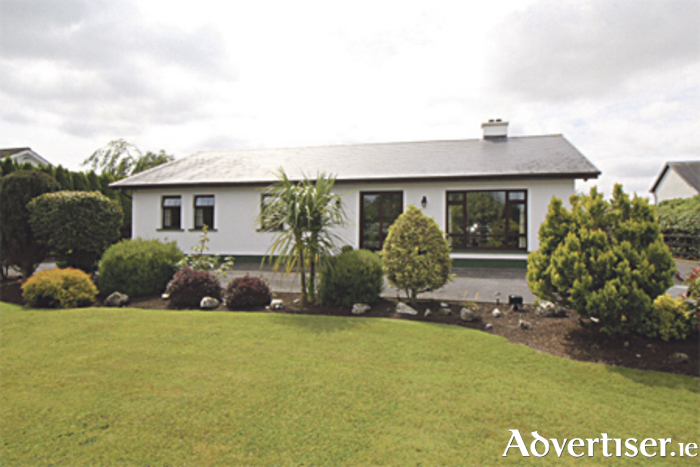 Located on the outskirts of Athlone town, west of the Shannon in a popular residential development, the home is close to all amenities in the Monksland area and is on the bus route to Athlone town centre. The interior of the home boasts three bedrooms, two reception rooms, three bathrooms, and attractive decor. The exterior offers gardens, a patio area, and ample room for private parking. The property is approximately 108 square metres with a BER C1 energy rating. It is an ideal starter home for first-time buyers, but also offers great potential as an investment property due to the high rental demand in the area. This home is presented in ready-to-occupy condition. It must be viewed to fully appreciate all it has to offer. Viewings are by appointment only.